Unreal! In the Spread traveled to Nova Scotia with RJ Boyle to film giant bluefin tuna, but we had no idea what was in store for us. Lead by big game legend in the making Andy Moyes, we by all measures finished the shoot the first day. That is how good Andy is and how off the chain the bluefin action is out of Ballantyne's Cove, Nova Scotia. Captain Francis Boyd and first mate Jamie Stewart ran the boat while Andy dialed up some epic big game fishing. If you have not experienced bluefin tuna fishing in Nova Scotia, do it and do it now. Andy Moyes is the man! Giant bluefin tuna and the beautiful waters off Nova Scotia await. Have you ever thought about what it would feel like to strap yourself to a dump truck and get your arms stretched? Well, that is the plan for next week. 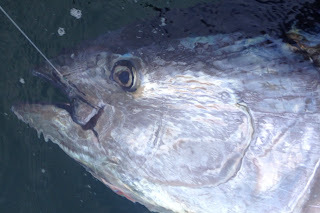 The power of the giant bluefin will test the sporting will of any angler. This majestic behemoth forced innovation on the sport fishing industry starting in the early twentieth century. Heavy tackle, fighting chairs and nimble sport fishing boats were what was needed to recon with these massive fish and still are today. This is not for the weak of heart. Full Throttle Media producer Seth Horne along with RJ Boyle venture to the north atlantic to shoot the third segment of In the Spread. 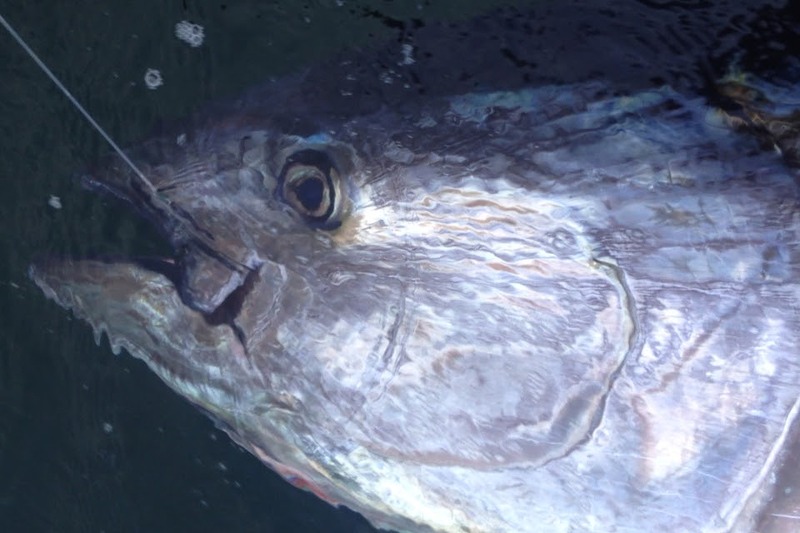 Their objective is to film a comprehensive instructional video on how to prepare for, catch and release one of sport fishing's greatest game fish. 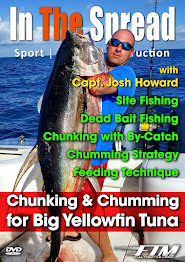 Legendary big game captains James "Chuy" Roberts and Andy Moyes join RJ and Seth in the spread on this epic adventure. Highlights and footage to follow soon. Stay tuned! As the cool fall weather creeps in pushing aside summer's humidity, I look back over the summer and realize my posts have been few. For good reason, I say. The Full Throttle Media team has been bearing down in an all out effort to finish the first two videos for "In the Spread" featuring RJ Boyle. It may have taken us a tad longer that expected, but we wanted to get the project in the right order before dropping any content. Daytime Swordfishing and Daytime Swordfishing Baits are now out and on sale! With the change in the seasons comes the next phase of "In the Spread" and it is a busy one. RJ and Full Throttle Media producer Seth Horne are staging to hit the waters off Nova Scotia to shoot the bluefin tuna instructional. Shortly thereafter, work will begin filming five additional instructional videos. 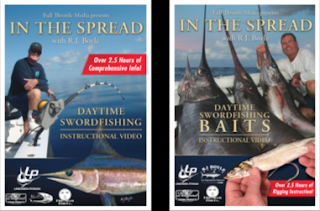 By January, we will seven videos finished and on sale for the "In the Spread" series. Stay tuned because we have involved some brilliant fishermen in this next phase. The project is looking incredible with big announcements on the horizon. In The Spread would not have been possible without the generous help of Roddy Hays. Roddy is really the guy who helped FTM get this project rolling. Our first few films were filmed with Roddy in his shop and on his boat. Thanks Capt. Hays.